Hey! What's up you guys? 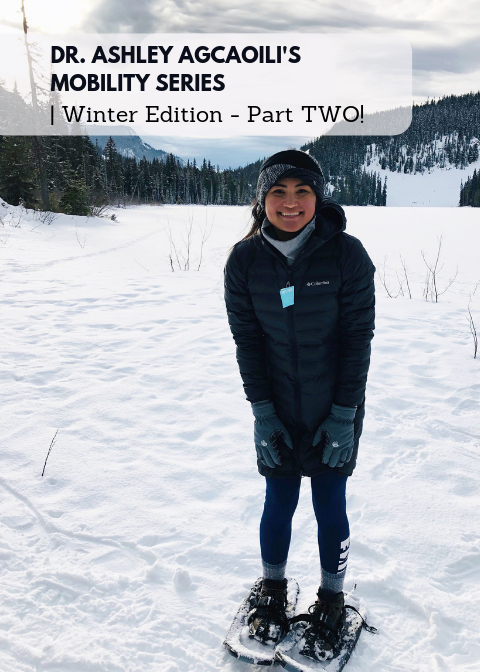 This is Dr. Ashley here, checking in for Week TWO of our Mobility Series Winter Edition. The Mountains are calling, can you hear them?! Today, I'll be focusing on the hips and featuring an exercise that will help to keep those hips loose before getting out there to ski, snowboard, or snowshoe! Remember, we are featuring this series on our Instagram, so head on over there and let us know what you think of the exercise!